When you don’t have a lot of room to work with in your garden, you may feel as is there’s just no hope. But space should never be an issue when it comes to garden design. Because there’s always something that you can do. Whether you want to create a really comforting outside space to dine in and enjoy, or you want your own green mecca, you can make this happen. You just have to be incredibly smart and creative. 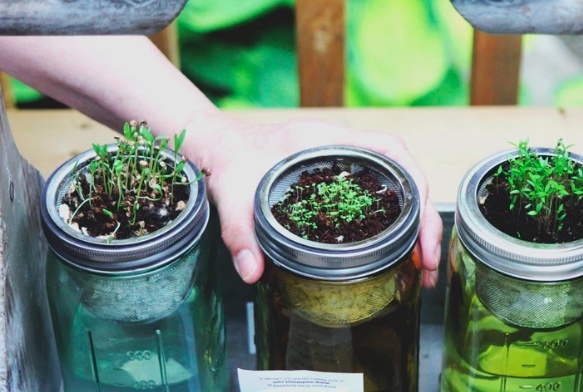 So, to help you really make something of what you’ve got, let’s take a look at these small gardening hacks that can really help you to do that. So first of all, you may be tempted to lay some grass because you really want that leafy, garden feel. But don’t. Well, you could if you really, really wanted to. But you will find that you get more out of a patio area. Here, choose stone slabs or wood over grass. This means that you have less maintenance, which can be reassuring when you have a small space. But also, you get to sit out and enjoy the space, rather than feel like you don’t want to ruin the grass. But then when it comes to putting in some furniture to then be able to sit out on, don’t go overboard. Remember, you’re limited with space, so choose smaller furniture and less of it. Maybe even get one piece or a small table, and then get collapsable chairs that you can then store away and bring out when you have guests. Now, you know that you really don’t have much space. But that’s really not a problem. You just need to make sure that you’re not covering the floor with all of your plants. With your stone or wooden flooring, you don’t want to go with a ton of potted plants. Instead, you’re going to want to build up the walls instead. You could even choose a tower garden so that you can fill in lots of different plants and build upwards, instead of outwards. Then, use hanging baskets or climbing plants to fill the walls around you with gorgeous flowers. So we’ve already said that the patio idea is going to be great for maintenance. 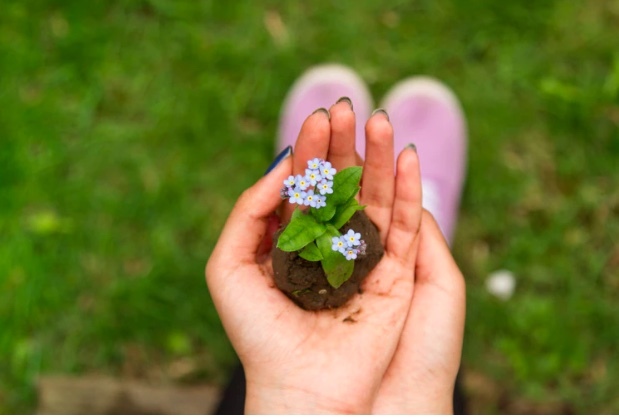 But then, you don’t want to be putting in plants that are going to take a lot of work to cultivate because you only have a select amount of space. So think about the low maintenance flowers and plants you can bring in to make your space serene and not a stressful area to work on. And finally, you’re just going to want to make sure that you’re really picky about the choices of plants you make. Remember, you only have so much space, so choose wisely. 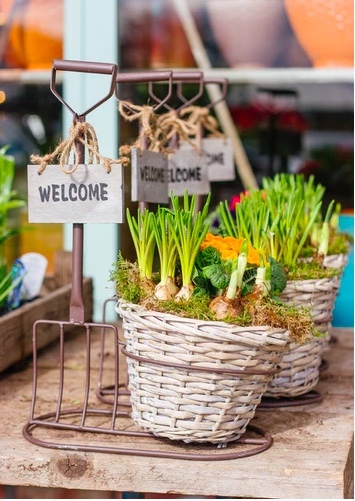 Make sure that you’re picking out plants and flowers that you really love, and that will complement the space. Don’t be tempted to just go for filler flowers.